Build a foundation for your future at Queensborough Community College. With a dedicated community of faculty, professional mentors and a diverse student body, you'll be empowered to succeed. Studying in one of five Queensborough Academies, you'll learn from professors who are passionate about their subjects - and your future. Student life is full of exciting activities, competitive athletics and outreach opportunities extending beyond campus. When you're ready to take the next step, we'll help you transition towards a higher degree or begin your career. And, best of all, our affordable tuition and generous aid can help you maintain financial freedom. 81% of full-time faculty members at Queensborough hold a doctoral or other terminal degree. As a Queensborough student you'll focus your education in one of our five Queensborough Academies: the Business Academy; Health Related Sciences Academy; Liberal Arts Academy; Science, Technologies, Engineering, & Math (STEM) Academy; or the Visual and Performing Arts Academy (VAPA). With experiences in service-learning, writing intensive courses, special events, museums, performances and laboratories, you'll benefit from a focused, impactful education. From the moment you step onto our campus, you're paired with a personal Queensborough Academy Adviser dedicated to helping you reach your academic and career goals. Your Academy Adviser will guide you through course selection, help you understand degree requirements, assist with career planning and support you throughout your college experience. Within your Queensborough Academy you'll have the opportunity to connect in-class learning with real world experience by participating in meaningful research. Queensborough is one of the few community colleges to have an undergraduate research program, encouraging you to work closely with professors and present your findings at national conferences. Queensborough Community College can launch you into nearly any profession: doctor, lawyer, teacher, police officer, nurse, computer programmer, scientist, business owner, artist, and much more. 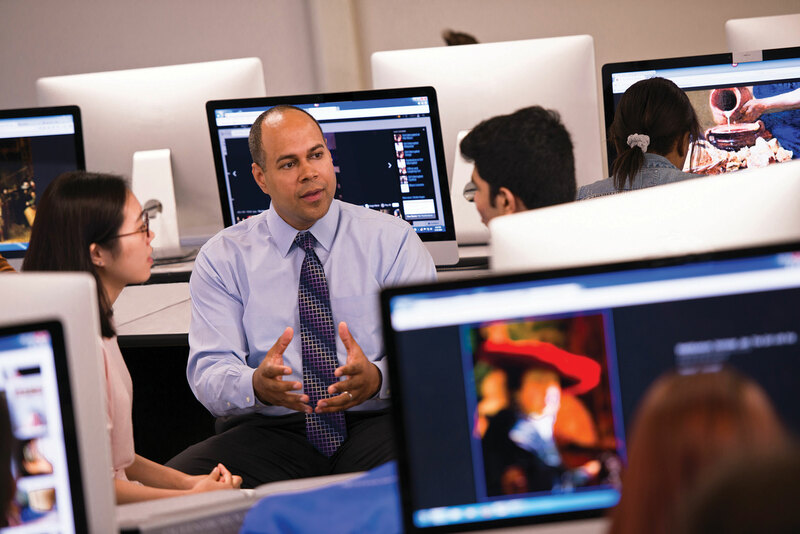 Queensborough offers transfer programs, including dual-joint degree programs, as well as career and certificate programs. Get in the spirit of Queensborough Community College. Queensborough offers a wide variety of resources for you to enrich your academic experience and connect with your peers. These include: clubs, activities, athletics, service learning, student government, veterans services, and much more. Show your Tiger pride in the stands or on the court - either way, the excitement is contagious! Queensborough has won the CUNYAC Commissioner's Cup Championship 3 years in a row (2014, 2015, & 2016) and 8 times in its history! "The entrepreneurial challenge opened a new world of possibilities and gave me the confidence to transform my dreams to reality." President's Award for Outstanding Achievement in the Associate in Science Degree. Jane has begun a National Science Foundation summer research internship at U Penn. "I have all these people who want to see me succeed,” said Kelvin, who is an active member of the college's Services for Students with Disabilities. “I wouldn't have been able to make it this far without the encouragement on campus." Come Visit our Campus, Take Part in QCC Day! Visiting Queensborough is the best way to get to know our beautiful campus, but that’s not all! During QCC Day, you will learn about our student-focused Queensborough Academies and our outstanding 40+ academic programs. Review your financial aid options with financial services staff and learn how affordable a Queensborough education can be. Meet representatives from our various student success programs such as ASAP and College Discovery. Whether you are thinking of applying or you are an admitted student for the upcoming semester, QCC Day allows you to learn more about our robust student life and supportive faculty. Students will also have an opportunity to fill out an application or complete the enrollment process with QCC staff. Why not begin your college career at Queensborough Community College this fall? 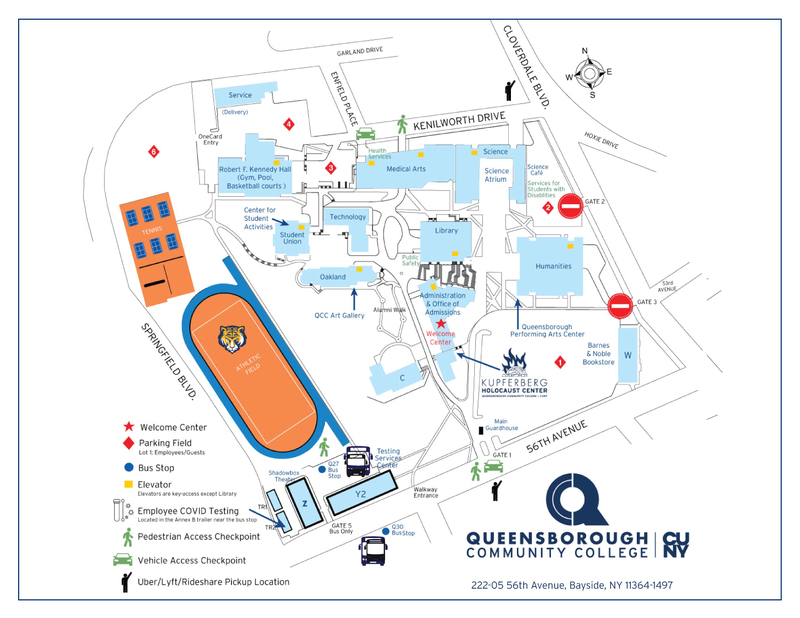 Explore Queensborough Community College on QCC Day! Complete your admissions application for Fall 2019 and receive an on-the-spot admissions decision. For information on what to bring, visit our "on-the-spot admissions" page for details. Register for the CUNY Assessment test and learn how we can help you prepare for the test. Submit Health Forms if you were recently admitted. Meet with an Academic Adviser and register for classes. Receive and review transfer credit evaluation with a member of our transfer services team. Tour our beautiful 37-acre campus surrounded by majestic trees, green lawns, manicured gardens and expansive views with a QCC student ambassador. For group tour information and scheduling, please email Edgar DeCastro at Edecastro@qcc.cuny.edu. Please contact us at least 2 weeks in advance of your desired tour date so that arrangements can be confirmed. To ensure the best group tour experience, please limit the size of your group to 30 students. Take advantage of all that The City University of New York has to offer! Make the connections you need to succeed in New York City and beyond, and do it all at a place that feels just like home - Queensborough Community College! We've got that suburban feel, a lush 37-acre campus and a welcoming community, all close by in beautiful Bayside, Queens, just minutes from Great Neck, Long Island. Our community of dedicated faculty, professional mentors and a diverse student body will empower you to succeed. Studying in one of five award-winning Queensborough Academies, you'll learn from professors who are passionate about their subjects - and your future. 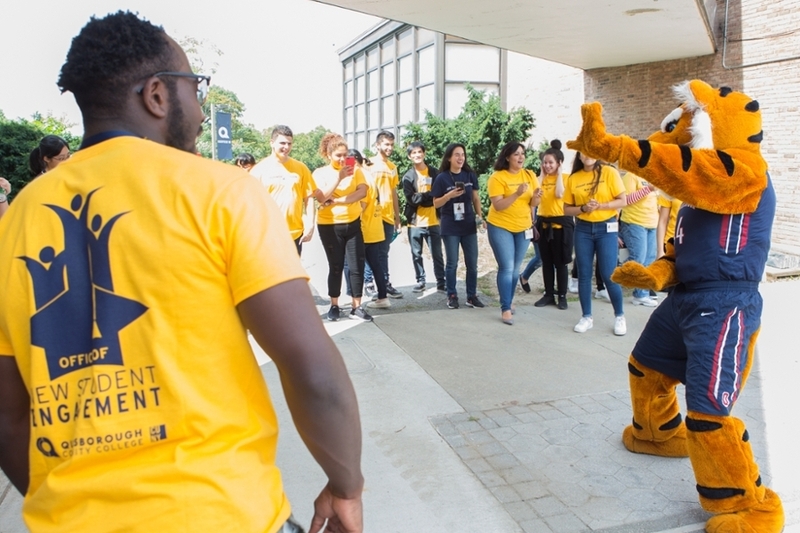 Student life is full of exciting activities, competitive athletics and outreach opportunities extending beyond campus and into New York City! It's easy to transfer to a CUNY senior college or any other four-year college once you earn your degree here! Stay in the neighborhood or venture into the City or beyond. Queensborough's exclusive Transfer Resource Center gives you a world of choices! Whether you plan to complete a bachelor’s degree or enter the workforce with your associate’s degree, Queensborough works with you to map out where you want to go and how to get there. Through personal guidance, interactive technologies and strategic partner agreements, we ensure a smooth transition to your next destination. Your strong start at Queensborough can yield incredible results. Join the ranks of our alumni who go on to enroll at prestigious 4-year institutions including Baruch College, Columbia University, Queens College, The City College of New York, New York University, St. John’s University and more. There’s one thing you’ll find in abundance at Queensborough: opportunity. When you begin your career, you’ll be connected to a network of more than 72,000 successful alumni all over the metropolitan area.